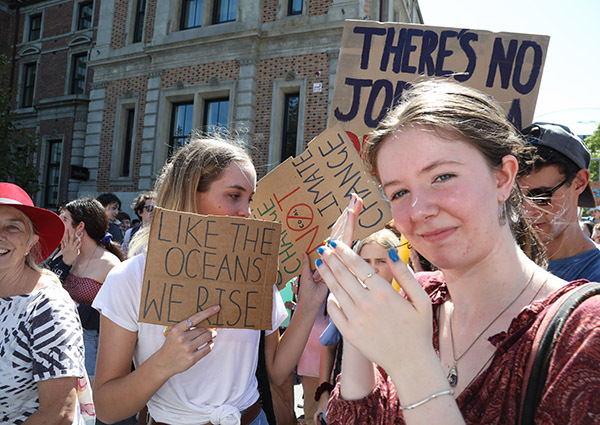 Tens of thousands of young Australians have walked out of their classrooms to stage protests in capital cities demanding action on climate change. Their idealism and their placards emphasised their concern even if their ideology and science was ideological and simplistic. Mixed up with the Green and socialist alliance ideologies the age of the students was significant. Youth is dominating where political parties should be leading. There is no room left for a conservative stance and mainstream politics is failing to make any impact. 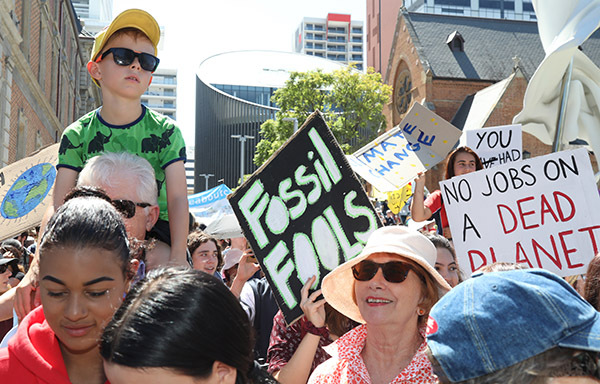 Rallies began in Perth, Melbourne, Sydney, Adelaide, Canberra and Hobart outside state parliament buildings and town halls on Friday. 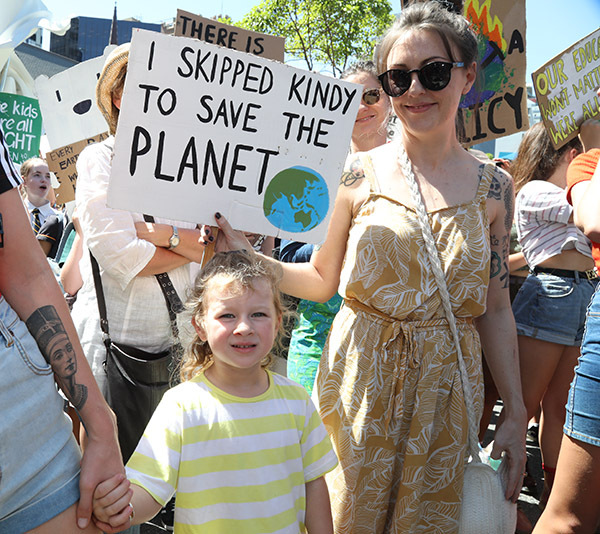 In Perth parents and young children gathered with Green and socialist protesters outside St George’s Cathedral in combined protest. 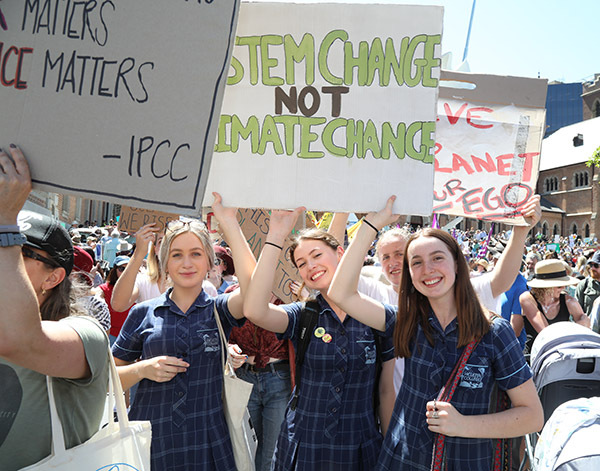 Students also marched at rallies across regional Australia, with large crowds protesting at Geelong, Byron Bay, Coffs Harbour, Cairns and Townsville. 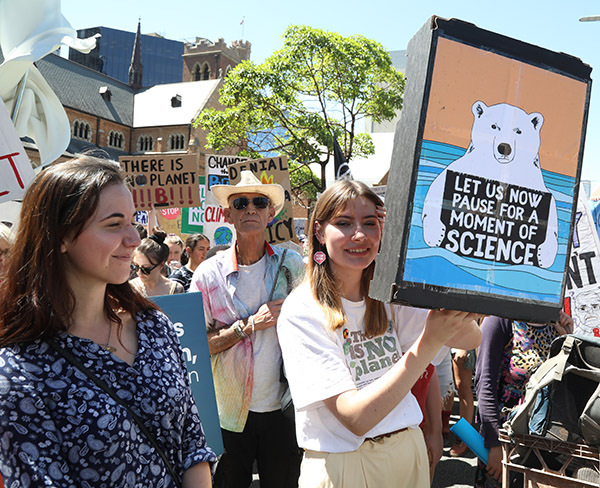 Many used humour to get their point across, with posters referencing internet memes and suggesting fail grades for the nation’s political efforts on climate change policy. 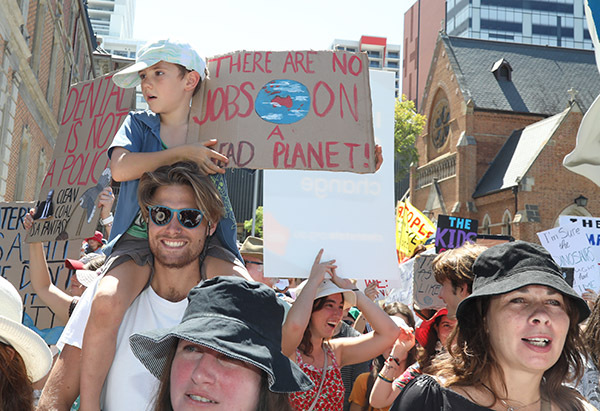 Others were more serious — one poster urged politicians to “panic” about addressing climate change and another warned “there is no Planet B”. 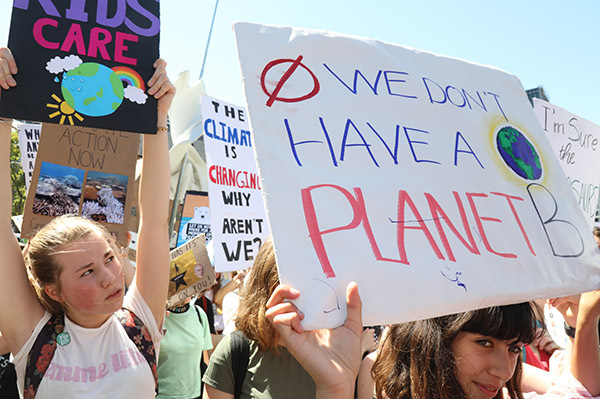 The protests were inspired by 16-year-old Swedish student Greta Thunberg, who pledged to protest outside the Parliament in Stockholm until the country caught up on its commitments under the Paris Agreement. Greta urged students to ignore calls from some politicians to stay in school. “I say that the children are on the right side of history and that those politicians are not,” she said. “So they should keep on fighting and they must be prepared to go on for a very, very long time. 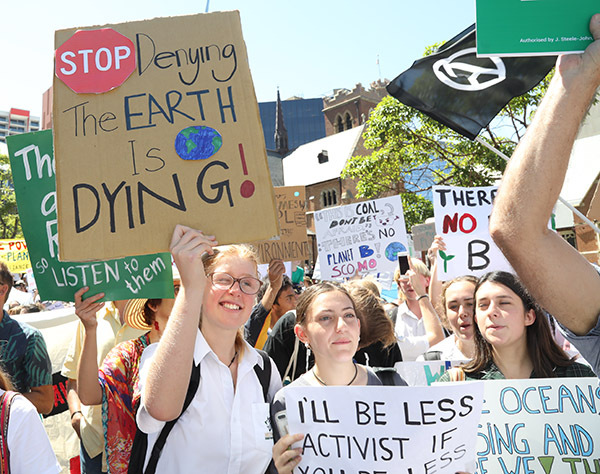 Federal Education Minister Dan Tehan said he would meet with the climate strikers to discuss their concerns outside of school hours, while Queensland Premier Annastacia Palaszczuk said the protests should have been held on a weekend. “Students leaving school during school hours to protest is not something that we should encourage,” Mr Tehan said.